By guest blogger and LCC math professor, Cathy Griffin. The Lilly Series is a set of posts based on sessions held at the Lilly Conference for Evidence-Based Teaching, October 2015. At the Lilly Conference in Traverse City, Professor Rozema said, “Fishing for bass is similar to teaching college.” He then showed video clips of fishermen sharing the importance of maintaining a positive attitude and “to not let past fishing success dictate the bait we use or where we fish.” So, don’t let past teaching success dictate the teaching ‘tools’ we use or the ‘way’ in which we teach. The same techniques don’t always work; we must adapt and always keep a positive attitude. Catching bass is similar to teaching students in that we need to ‘hook’ them. We need to keep putting different ‘baits’ out in front of them to ‘lure’ them into learning and make them want to ‘bite into’ the content. He said that if one ‘lure’ doesn’t work, we need to maintain a positive attitude and try different techniques (eg. different color, texture, and kind of bait). Bass follow a pattern that is similar to the patterns of student learning. Spring (semester start): Bass want to spawn; they are easy to find and easy to catch. At semester start, students are excited and eager to learn since they are motivated to do well. Post Spawn/Summer (midterm): Bass are said to be ‘lock-jaw’. They want to feel safe, so they head to deeper water where they can ‘breathe easy’ as there is more oxygen there. 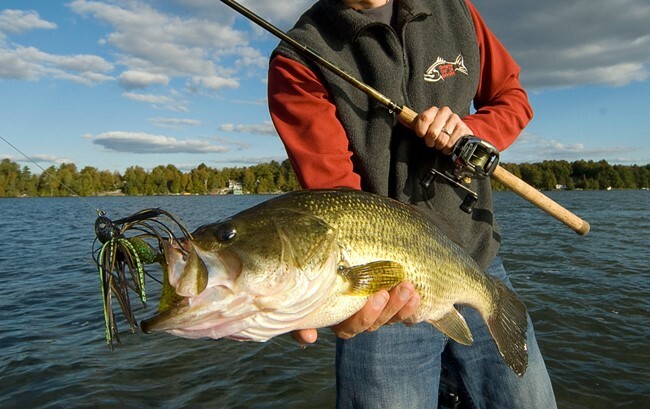 Bass are lethargic and not interested in most bait. They are difficult to catch! Students get ‘lock-brain’ about mid-semester during mid-terms. They are easily distracted (Facebook, Snap Chat, parties, football games) and are looking for comfort and safety, often missing the objectives that we are ‘casting’ their way. Fall (end of semester): Bass head to shallow water once again chasing shad. They are gorging on food and are very active as they bulk up for winter. Students at semester end are eager once again; they are ‘gorging’ on material as they prepare for the Final Exam and are frantic about the end-of-the-semester. Often you will hear them asking for ‘more’… (extra credit). As a result of this, we should put our most important concepts in the beginning of the semester and at the end, considering that is when we will most likely ‘catch’ those bass (students)! If you'd like to learn more about the Lilly Conference, visit the CTE or contact Catherine Griffin at griffic@lcc.edu.